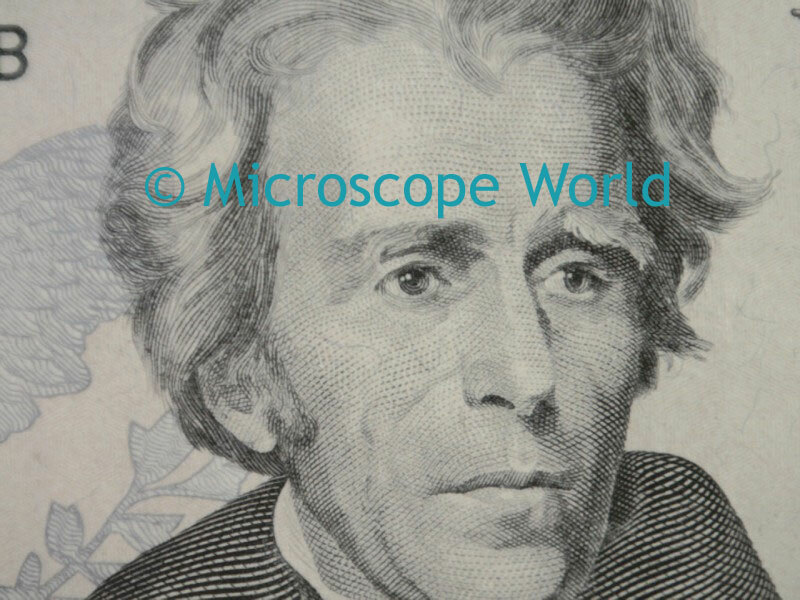 Microscope World recently captured images of the US $20 bill under a microscope. 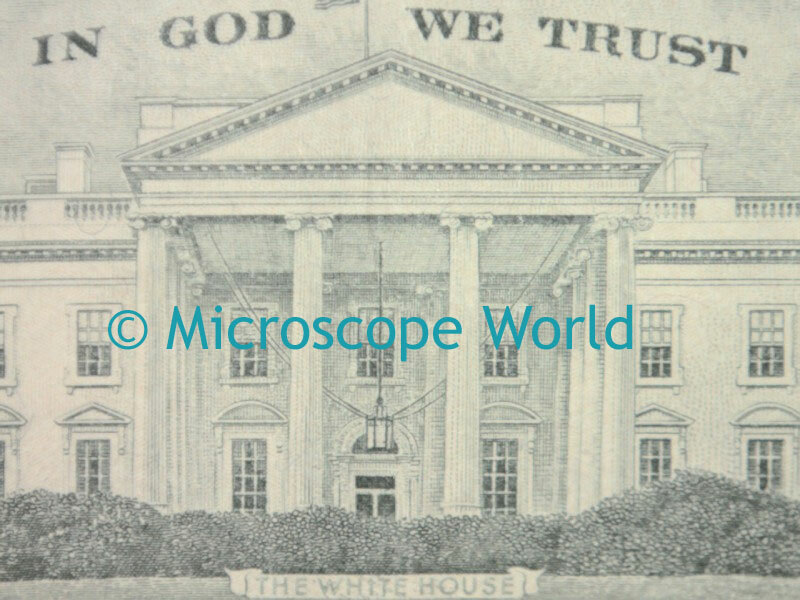 Using the Motic SMZ-168 stereo zoom microscope on the lighted post stand, the magnification was set to 5x to capture these images. 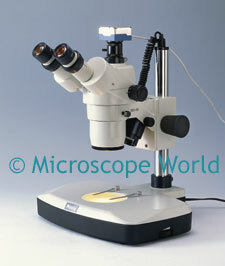 The Moticam MC1000 digital microscope camera was threaded onto the microscope c-mount adapter. 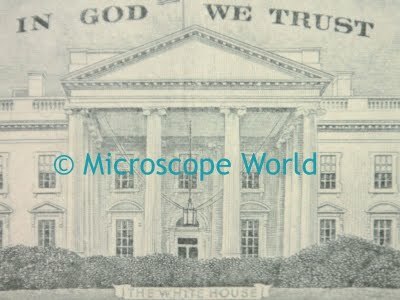 The camera includes software and allowed us to view a live image on the computer monitor prior to capturing and saving the image. The images turned out crisp and clear.